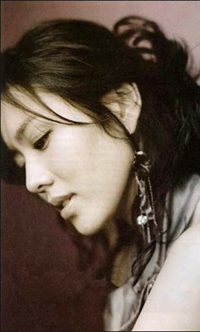 Son Ye-jin is a south-korean actress. After graduating from the Film Art Department, Seoul Institute of the Arts, Son made her debut in the MBC drama Delicious Proposal (Sweet Proposal) in 2001, and also later went on to films. She is noted for her acting roles in the film The Classic, as well as the 2003 KBS drama Summer Scent, co starring Song Seung-hun and 2006 SBS drama Alone in Love.